Trust me, I know it's tempting: Freelancers need every tax break they can get! But my dad, a certified public accountant, has long advised me against it. Plus, the new Tax Cuts and Job Acts of 2017 has placed even more limits on the home office deduction that make it even less palatable. Not sure if you should take a home office deduction? Here are some of the reasons I've refrained—reasons that might speak to your situation, too. 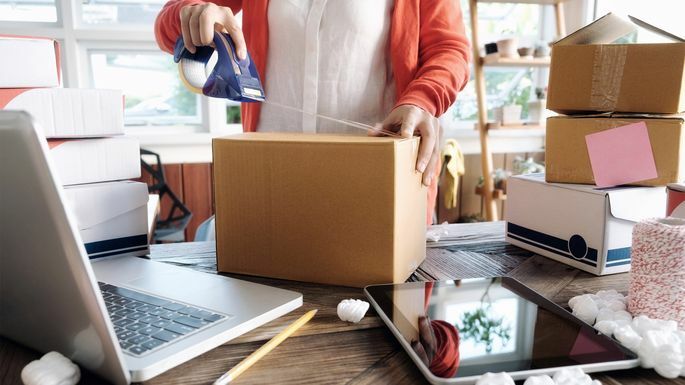 For starters, the home office deduction is now available only to self-employed individuals—this does not include W-2 workers who occasionally work from home. This change actually works in my favor, since I'm a full-time freelancer. Individuals eligible for a home office deduction can claim a tax deduction for depreciation—a tax break to account for the wear and tear on the area of your home used for business. That's all great, but once you sell, that nice tax break you took is offset by the fact that you have to pay taxes on any capital gains that stem from the sale of your office space. Translation: If 10% of a home's square footage is designated as a home office, you'd have to pay tax on 10% of any capital gains you enjoy once you sell your home. Not sure if you should take a home office deduction? Consulting a local tax professional can help determine if it's right for you, or check out this guide on the home office tax deduction.